More than 800 leaders from the Jewish community will gather on Monday, Oct. 26 for the Friends of the Israel Defense Forces (FIDF) Pennsylvania and Southern New Jersey Chapter Annual Gala at the Crystal Tea Room to support the brave men and women of the Israel Defense Forces (IDF). The evening, which has become one of the local Jewish community’s largest events, will feature a keynote speech by Maj. Gen. (Res.) Amos Yadlin, a 40-year IDF veteran and Israel’s former Chief of Defense Intelligence. Yadlin, who is now director of Tel Aviv University’s Institute for National Security Studies, will address the new wave of terror that is crashing down on Israel, where stabbing and shooting attacks are being reported hourly. Also speaking will be wounded IDF veteran and Paralympic medalist Noam Gershony. Six years before winning the gold medal for wheelchair tennis at the 2012 London Paralympics, Gershony’s Israeli Air Force Apache helicopter crashed in Lebanon, killing his co-pilot and severely wounding the future champion. Co-chairing the gala and the dinner are Dr. Zeff Lazinger and Shelly and Jerry Abramson. Presiding as the evening’s master of ceremonies will be Rabbi Gregory Marx. 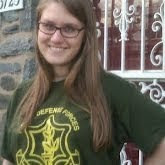 Other distinguished guests will include active-duty IDF Lone Soldiers from the Philadelphia area 1st Lt. Eric and Cpl. Matthew, and FIDF Pennsylvania and Southern New Jersey Executive Director Tzvia Wexler. The evening will begin with a 6 p.m. cocktail reception, followed by dinner at 6:45 p.m. and the program at 7:45 p.m. The funds raised at this event will go toward FIDF well-being and educational programs for IDF soldiers. Over 100 prominent Friends of the Israel Defense Forces (FIDF) lay leaders and supporters from the United States and Panama were accompanied by over 50 IDF officers as they flew to Israel via an Israeli Air Force plane this past Friday, to continue the memorable journey by commemorating Yom Ha’Zikaron and celebrating Yom Ha’Atzmaut in Israel today. The group will also spend time on several elite IDF bases with soldiers, meet with top-level government and IDF officials and Israeli leaders, including Prime Minister Benjamin Netanyahu, the Speaker of the Knesset, and a special reception with the President of Israel, Shimon Peres, at his official residence. Over 100 prominent Friends of the Israel Defense Forces (FIDF) lay leaders and supporters from the United States and Panama, including a delegation from Philadelphia, were accompanied by over 50 IDF officers as they toured the Auschwitz-Birkenau Concentration Camp in Poland as part of the ten-day FIDF “From Holocaust to Independence” journey to Poland and Israel. The delegation visited the Auschwitz-Birkenau Concentration Camp, which was the largest of the Nazi’s Concentration Camps. The delegation also listened to the personal story of a Holocaust survivor from Israel, Asher Aud, in Auschwitz 2-Birkenau, where mass exterminations of Jews took place throughout the war. Earlier, The delegation toured the town of Tarnów-Zbylitowska Góra, which was home to thousands of Jews at the onset of World War II, who ultimately faced unspeakable suffering at the hands of the Nazis, and the village of Zbylitowska Góra as well as Buczyna Forest, where many Jews, including over 800 children, were executed and buried by the Nazis. The delegation also visited the Jewish Quarter in the Old City of Krakow, an important district in Jewish history and learned about its significant Jewish community that thrived from the 14th Century until the Holocaust. The delegation toured the Krakow Jewish Ghetto, where Jews were forced to live during the Nazi occupation, and saw the remnants of the Krakow Ghetto Wall. Upon arriving to Poland, the delegation enjoyed a celebratory dinner with the IDF Chief of Staff, Lt. Gen. Benjamin Gantz.